Our interior remodeling services include custom kitchen make-overs. Walk-In closets made to your needs and bathrooms. Take a look around your home! It brings back memories. From the touches in your kitchen, the paint on the walls to the comfort you feel in your bathroom you once had it all together. As time goes on, styles change, desires change and your interior ages. 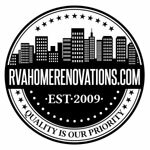 Now is the time to get back to that feeling that you once had in your kitchen, closet or bathroom and a custom renovation is just what your home needs. No doubt about it, your home is who you are, it is what you are about. You see this in your kitchen details, knobs and fixtures you feel it in your private bathrooms and your personal closets where you trust your wardrobe and attire. Our goal is to give you THAT FEELING every time you walk in the door. The center to most homes always has been and will be the kitchen. Anyone that prepares meals or entertains will definitely agree. Amazing families deserve amazing kitchens that work as hard as they do, but look good doing it. We have this in mind in our kitchen renovations so that you can have what you need within reach when you need it. You will experience this in the placement of the cabinets (custom designed or refinished), the countertop surfaces (Granite or Marble), under cabinet lighting and mosaic backsplashes. Have the best of everything available to you within reach so that you can provide the best for your family. Of course, we are not all fresh paint and fixtures. We offer full transformation. Let us come in have a look and Refresh your kitchen. How should we say this? The bathroom is your throne room. A place where you find exacting needs, high expectations and pleasing aesthetics. Even here, we take care of that for you. From our wide experience with various floor selections to wall tiles we offer full renovation transformations from tub to shower. All bathroom renovations are performed with a choice of our wide selection of tiles. This includes tile & stone for the walls to your newly installed heated floors. We work with only the best vendors in sinks, toilets, tubs, and fixtures. We do not use plastic shower pans. Let us know if you have a particular brand or vendor that you like, we can work with that too. The closet is often the end of a hard day and the beginning of comfort. Home is where comfort is and nothing spells comfort like your own custom made plush, spacious walk-in closet. You will look forward to placing your shoes on custom shoe racks. Your garments will fold onto custom shelves. Your hangers will rest on custom rods for your outer wear, inner wear and accessories. Each measurement is to your specifications so you will have your wardrobe safely organized at just the right height for you providing storage and organization. We also provide custom lighting, flooring and wall colors to give your closet just the feel that you need. It’s not just any closet, it’s YOUR closet!